Make your poker parties more thrilling with the Poker Hand Trophy with Color Choice! 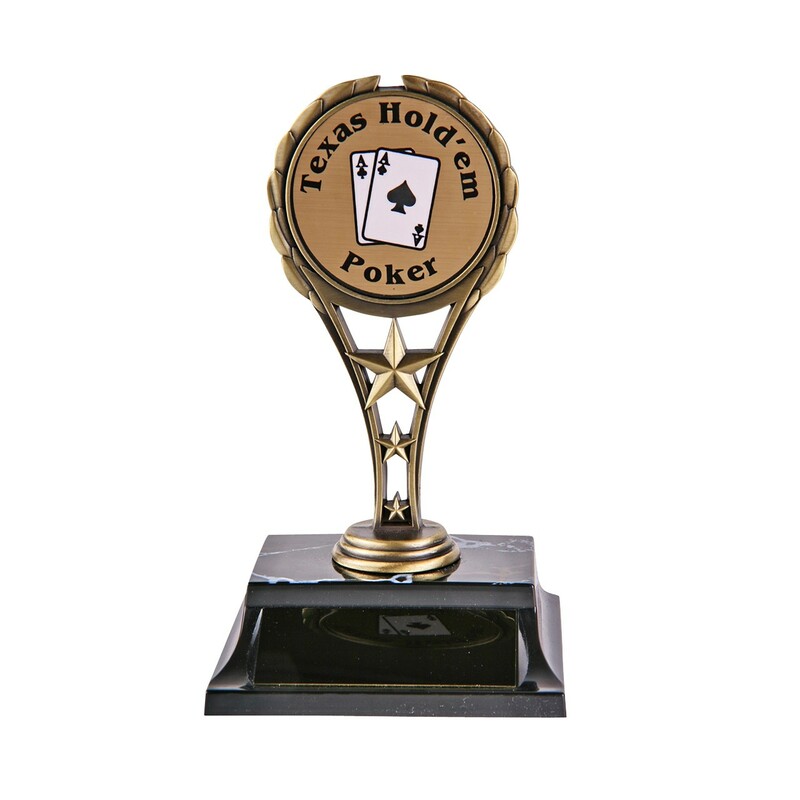 This 6" trophy features a black and white ace pair inside a gold metal rising star trophy figure. You get to choose the insert color: choices include gold, silver or bronze. The trophy base color is simulated black marble.